Today, Hamas is scheduling the 21st weekly "return" protest along the Gaza border. The theme today is "Revolution for Jerusalem and Al Aqsa." It is for the "49th anniversary of the burning of Al Aqsa Mosque by Zionist gangs." They are referring to the burning of the pulpit of the mosque in 1969 by a crazed Australian Christian. Ma'an reports that Israeli officials are calling today a "test day" to see if Hamas is serious about a truce. An Israeli military official said that Hamas was interested in maintaining calm, saying that the Israeli army would not intervene if the protests were held away from the border with no one going up to the fence. It is unclear how Israel would respond to flaming kites and balloons launched during the protest. 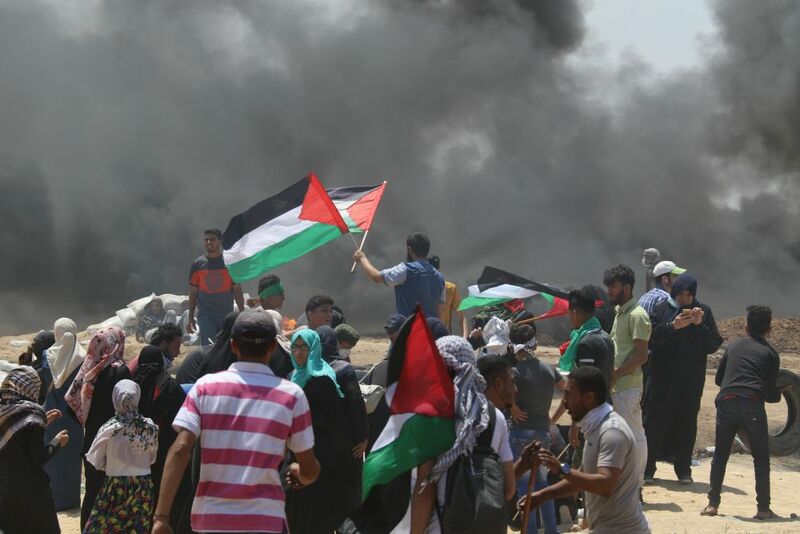 The protests are scheduled from 3-7:30 PM, which is an indication that the Gaza side is attempting to tamp down the violence without losing face by abandoning the protests altogether. It is notable that the spokesman for the weekly protests Ahmad Abu Rutema, recently said that "we have lost the battle for public opinion in the Return March," and that "there is nothing wrong with a tactical withdrawal" when it makes sense. Right now, it is the Arab sense of "honor" keeping the weekly protests going. The only question is whether that will manifest itself with violence.